I love fresh flowers and bouquets but sometimes they are very expensive. 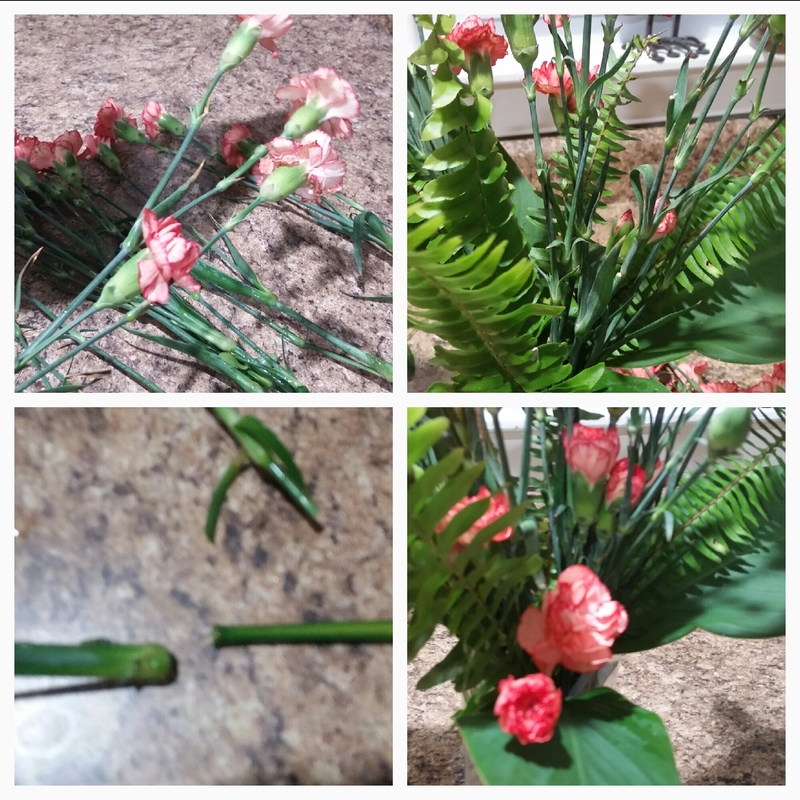 What if I told you that for less than $10 in many grocery stores you could create a beautiful long lasting and inexpensive flower arrangement from store bought carnations and a trip outside in your own yard for cuttings of leaves and branches even in fall and winter? 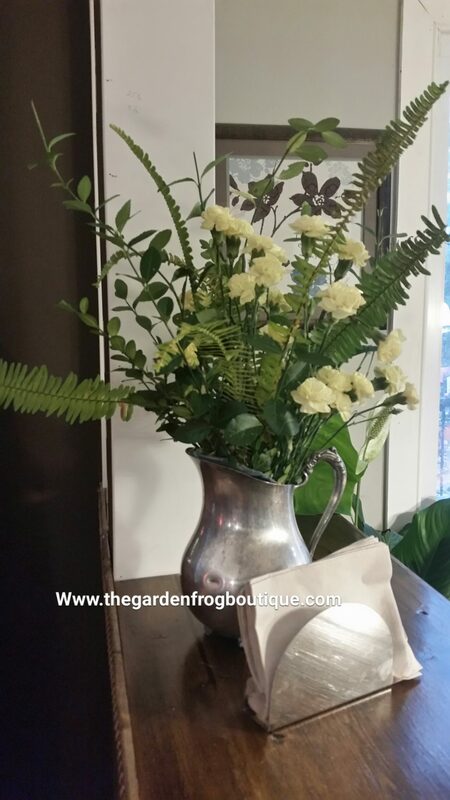 To create the arrangement you will need your vases and container filled 1/2 with warm water (this is to help the flowers and stems to absorb the water). 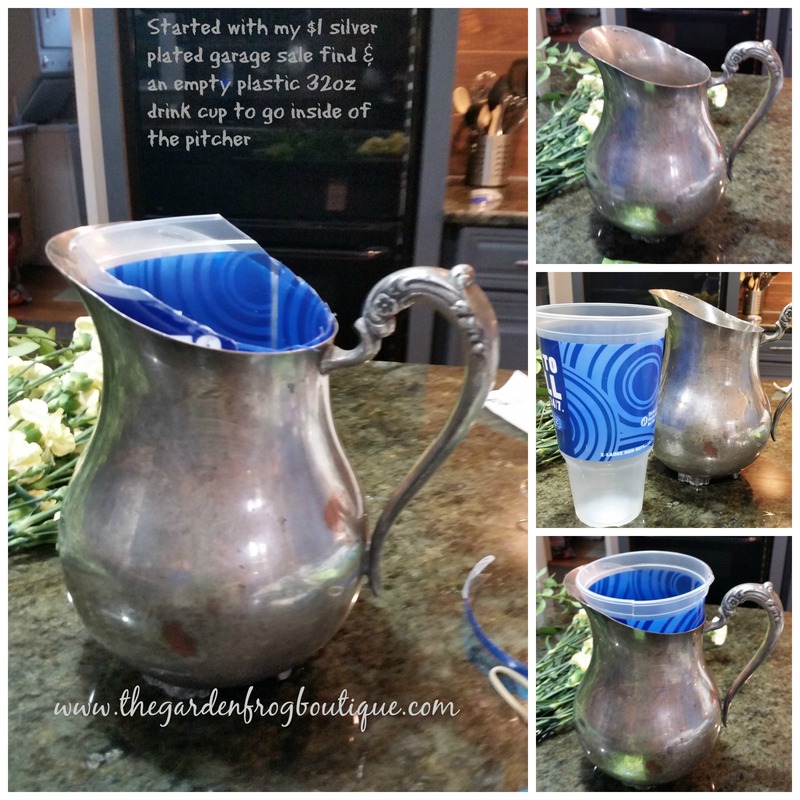 If you are using large leaves, start with an odd number (this is a design element) and place them in the vase. Then add a couple branches of holly or boxwood and grab a stem of carnation (or other flower) and cut off the end about an inch (if you have a tall vase) and place in the middle. You are going to be layering and creating different heights of blooms and green (with the leaves and branches). 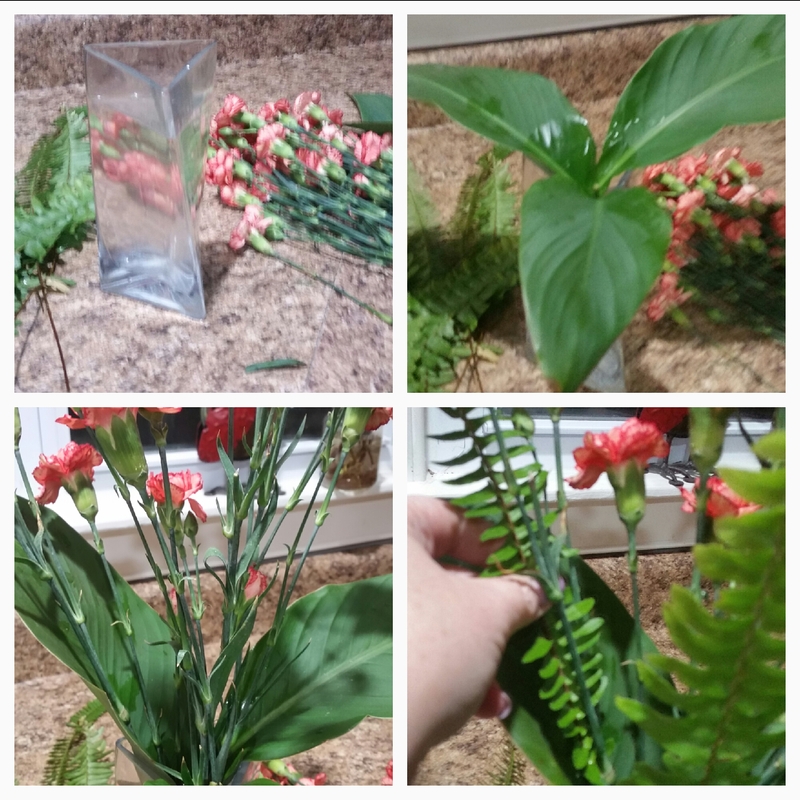 Then what I do, I grab another stem and cut off a couple inches and place it in the vase and repeat with another carnation stem. I step back and see how symetrical it looks. I may grab a another frond/leaf or maybe a boxwood/holly branch and place a couple or two to start filling in. Then I go back and add more carnation stems. 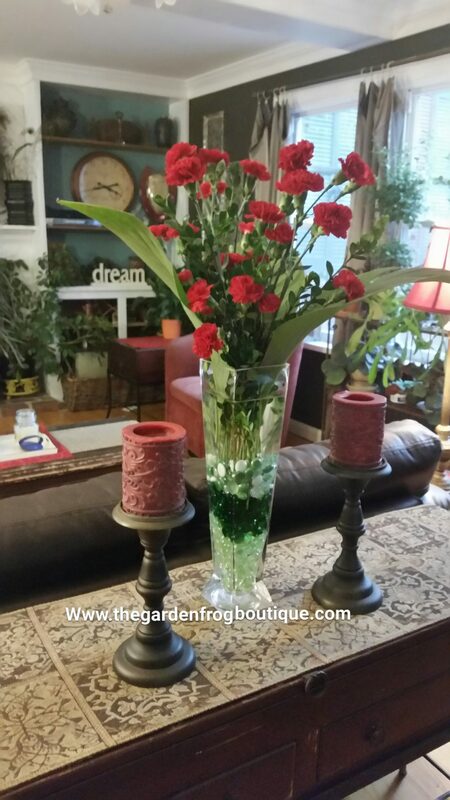 I even cut a couple carnation stems short to place close to the edge of the vase or container. My trick is to step back each time and see where I need to add color and height. It takes me about 20 minutes because sometimes I just get too wrapped up in perfection. There is no need to worry about looking like the designers you see on Pinterest or even in the floral shop. They have experience and a huge selection of materials to create stunning and expensive arrangements. What you can create in your own yard and garden can be just as beautiful. I love using hosta leaves in the summer to mix in with carnations (because they last the longest) and fern leaves because of the shape and texture of the leaves. However, cutting from boxwood and holly bushes in the fall and winter really give a festive look to the vase or container you are using. You could easily make this a holiday arrangement by adding a bow to the vase or container in the holiday motif. Carnations last for a couple weeks if you buy them when the store gets them in fresh. It is an asset to say hello and ask the floral department employee when fresh flowers are delivered so you can stop by and purchase a fresh bouquet within 2 days of delivery. Using those packets of chemicals to keep you bouquet fresh is an option too. I did not use them in my bouquets this time to see how long the bouquets last. The packets do work; however, if you are cutting your own flowers and natural materials, you may just want to go with warm tap water. 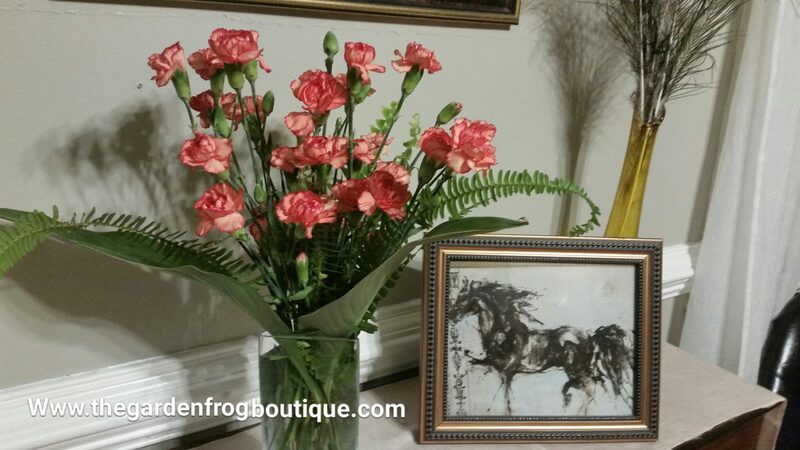 I hope I have inspired you to create and enjoy your own beautiful bouquets. No floral designer degree needed. Use your inner creativity and work with nature. Thank you for stopping by! 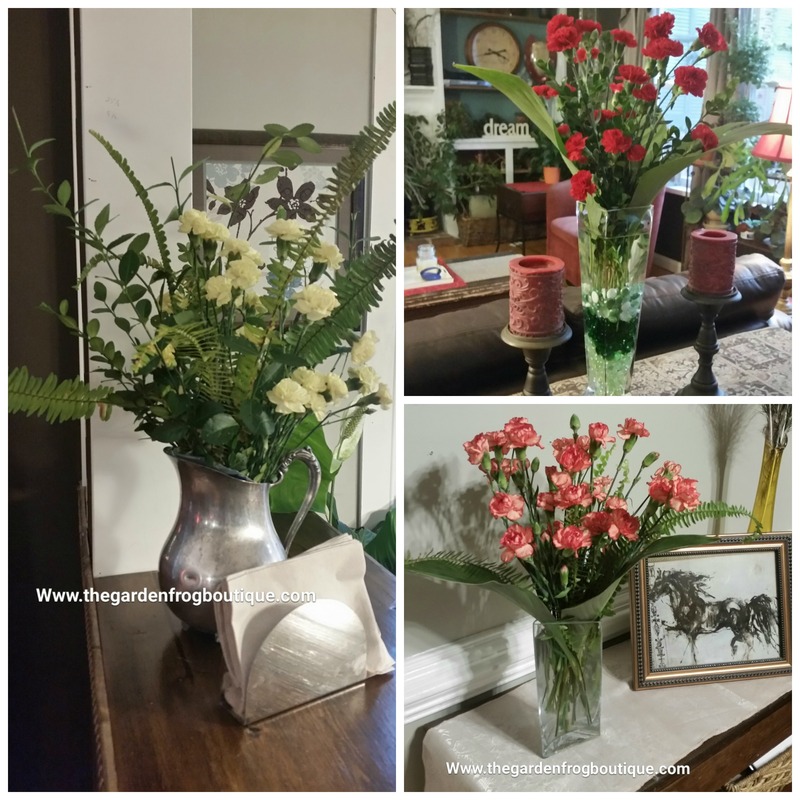 Thanks for the tips on making pretty flower arrangements. I didn’t know that using warm water could help the stems absorb the water better. I really like how you layered the different heights of the plants in the vases. I’ll have to try this the next time my husband has flowers delivered to my house. Thank you for stopping by! 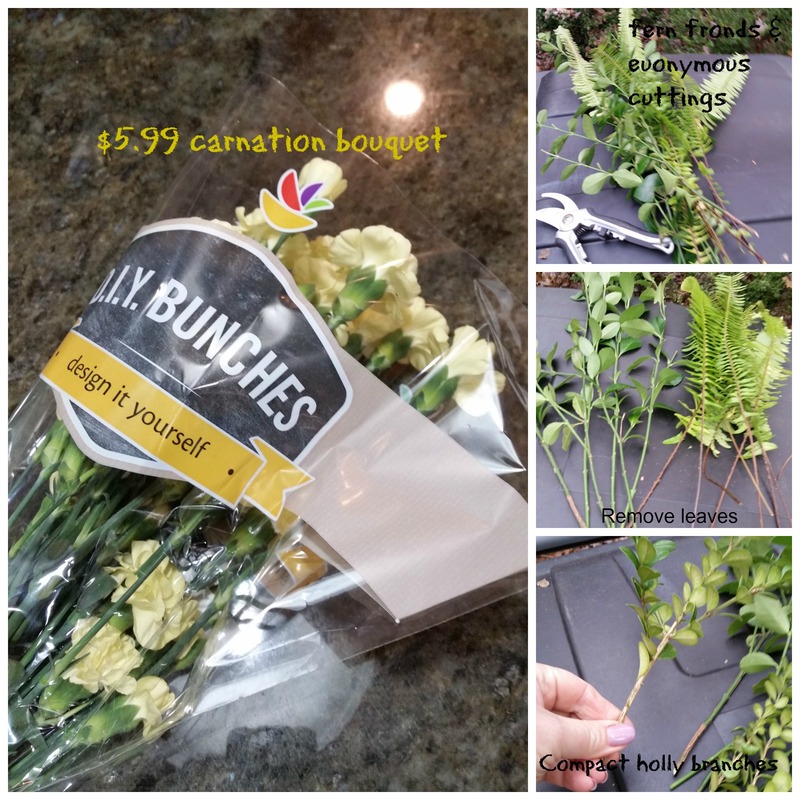 I love to buy carnations to mix in with my garden branches and leaves all year. It is always a good time to receive flowers! 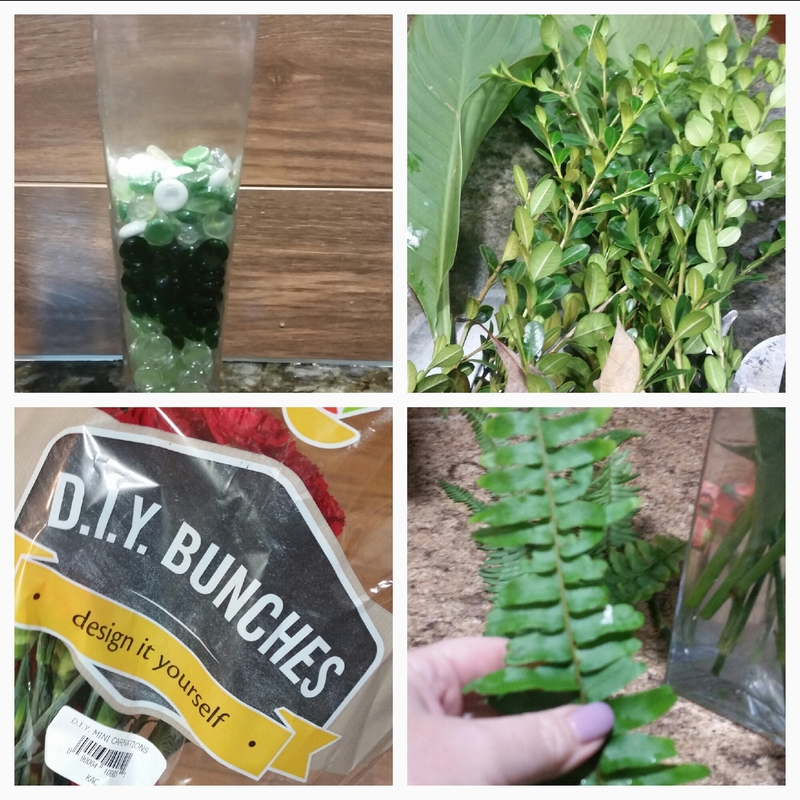 Thanks for these tips to put together a bouquet of flowers. It’s my wife’s birthday coming up, and I wanted to get her some special flowers. I’m going to use these tips because I have no idea how to make them look good. It’s harder to do than it looks. thank you for stopping by! I hope some of my tips help. As i grow my blog I will post more helpful hints!